Former Marion County Sheriff’s deputy Jesse Alan Terrell, was found not guilty Wednesday afternoon. He was facing felony battery charges. Terrell, 33, is just one of five deputies accused of beating suspected drug dealer Derrick Price, 44, during an arrest that took place in 2014 in Marion Oaks. Former Deputies Trevor Wade Fitzgerald, 32, James Louis Amidei, 32, and Adam Crawford, 31, pleaded guilty in July of 2015. Former MCSO deputy and SWAT Team member, Cody Hoppel, pleaded guilty on October 27, 2015. Terrell was the only deputy to take the case to trial. Terrell refused to plead guilty and would not take a plea deal because he did not feel as though he had done anything wrong. 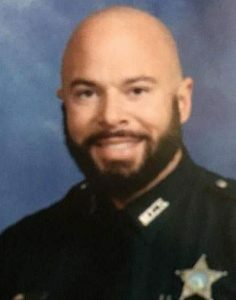 The five deputies repeatedly punched, kicked, and kneed Price in the head, neck, and shoulder area while he was face down on the ground. Prosecutors said that the deputies caused bodily injury to Price. In the video, deputies can be heard yelling “stop resisting”, however, the video shows price on the ground as he was beaten. The police academy trains law enforcement officers to use the term “stop resisting” when arresting suspects, but the term is used loosely. Often times, out of the view of a camera. More than 90 percent of resisting arrest cases are thrown out due to lack of evidence. The other four deputies involved in the case were sentenced to one year in jail. In October 2015, Hoppel was the fourth deputy to plead guilty. During the investigation, Hoppel dropped a bombshell and also pleaded guilty to the beating of Dustin Heathman, of Williston, in an unrelated case. Heathman was 36 at the time. Heathman is serving life in prison for allegedly shooting at MCSO deputies and SWAT members who were serving a warrant for driving on a suspended driver’s license from another county. The Heathman case ultimately lead to former Sheriff Blair’s indictment. Heathman was sentenced to life in a case that was based on fabrications and false testimony. Furthermore, there was no dash or body cam video to back up the charges against Heathman. As for the Price case, Terrell was facing up to 10 years in prison had he been convicted. Ridgway told Ocala Post that the body cam video was not used during the trial, therefore jurors never reviewed the footage. Ridgway said that law enforcement officers do not have carte blanche to do whatever they want.